Solid construction and effective in design, the Force USA 700lb Olympic Barbell is made for everyday gym use, and designed for a snug fit in the hand. Featuring heavy duty structural integrity, the Force USA 700lb Olympic Barbell is built to take a pounding and help you expand your range of exercises. 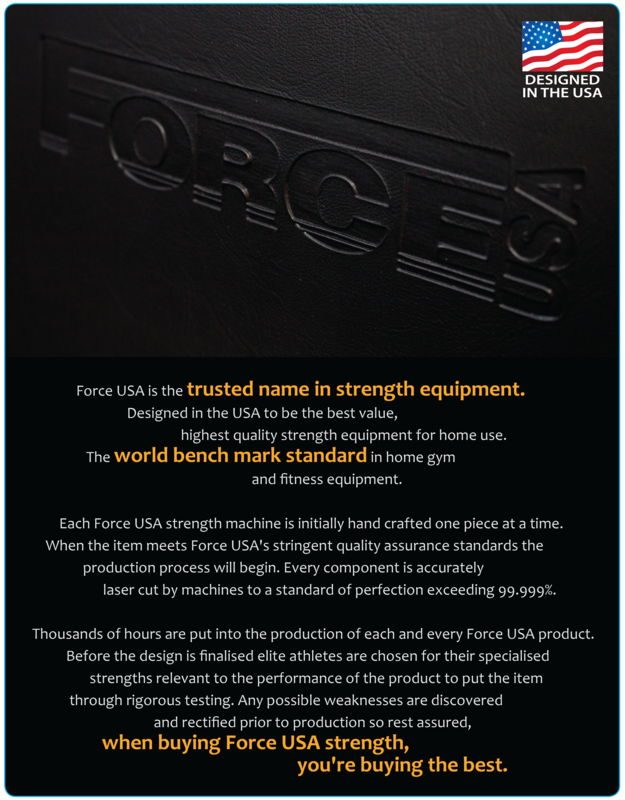 And, with a “Class A” rating, the Force USA 700lb Olympic Barbell is built to last a lifetime. The Force USA 700lb Olympic Barbell is unmatched in it’s class and will give you solid and intense workout for many years to come! The Force USA 700lb Olympic Barbell is made by a one-piece forged construction, giving you the ultimate workout and safety knowing that your Force USA 700lb Olympic Barbell is the best quality. The Force USA 700lb Olympic Barbell is ergonomically designed to handle extreme workouts in the gym, so you can rest assured you are buying quality when you go with Force USA. With the Force USA 700lb Olympic Barbell you will have intense workouts for a variety of different muscle groups while maximizing the effectiveness of your workouts with a combination of core and strength workouts. 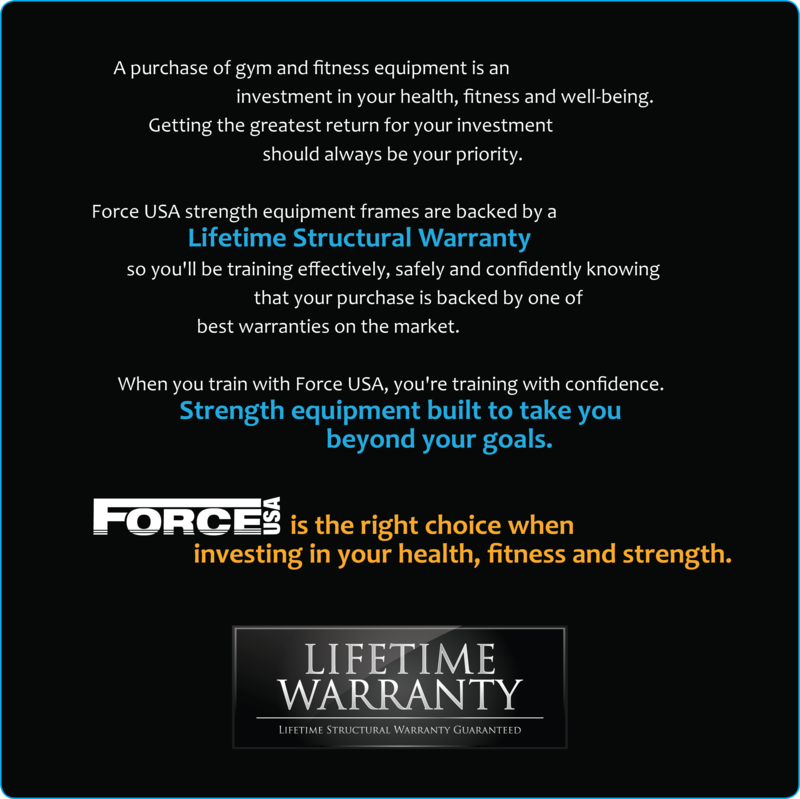 The Force USA 700lb Olympic Barbell provides some of the best, most effective strength training exercises. Use at the gym or at home to mix up your exercises and take your training to the next level! 700lb Olympic Barbells are ideal for using on Olympic width commercial benches and racks. NOTE: Spring Collars are available, please purchase separately. Domestic use only. Not suitable for commercial gym use. Not Warranted for Cross Training or Olympic lifting. Force USA is the only brand that I use. It has earned my trust over the years and I'm always happy with every product. This one's no different. Not a fan of complicated products so I like this. Awesome deal, highly recommended especially to beginners. You won't regret it.